Kuroba! is a new, proprietary and patented toy-based brand that recently launched at retail, with advertising and animated content on YouTube. The brand targets girls between the ages of six and nine, and offers its audience a compelling toy experience that blends battle with collectability and customization – a rare combination for this demographic. Kuroba! launched a dedicated YouTube channel earlier this year (YouTube.com/Kurobaworld) to support the initial toy launch. In addition to leading global merchandising efforts for the brand, Sutikki is currently in production on additional animated adventures featuring Kuroba! Characters including Emberfox, Octoboss and Pegaplant. Sutikki — Japanese for sticky — is the kids and family division of Bento Box Entertainment. Founded in 2016 by executives Irene Weibel and Andrew Kerr, Sutikki (sutikki.com) creates, produces, distributes and merchandises compelling content built for today’s kids aged 2-11. Sutikki believes in the power of story and its ability to drive commercial success globally. It is currently in production on its first preschool program, Moon and Me, scheduled to premiere on the BBC’s CBeebies channel and NBCUniversal’s Universal Kids later this year. 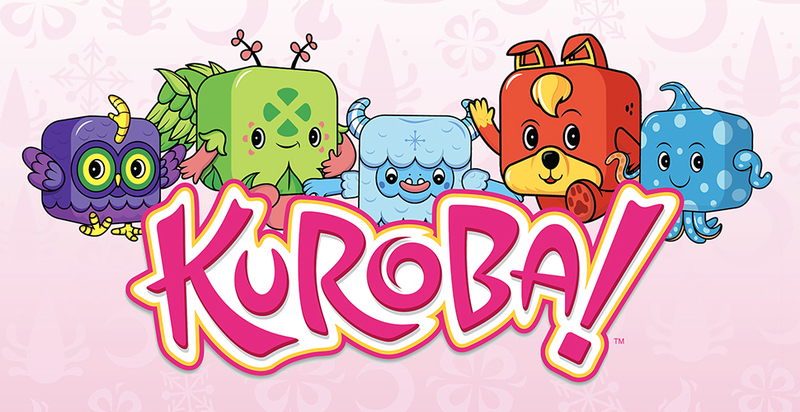 It has also launched Kuroba!, a new proprietary and patented toy-based brand, at retail with Playmates Toys, with animated content available on YouTube. Bento Box Entertainment (BBE) is a multiple-time Emmy® award-winning entertainment content and technology company. With studios in Los Angeles, Atlanta, and Toronto, BBE produces animated comedy series for broadcast, cable and digital networks. With creative thinking, disruptive content and innovative technology at its core, BBE is dedicated to extending its reach to new audiences via its digital, content rights, live events, merchandise, brand management and Sutikki (kids and family) business units. BBE can be followed across social media channels @bentoboxent.